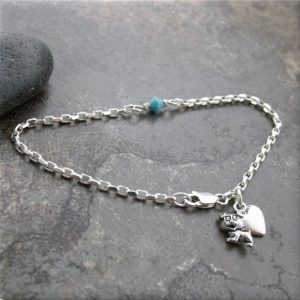 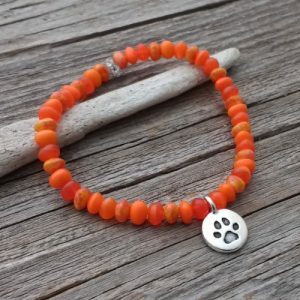 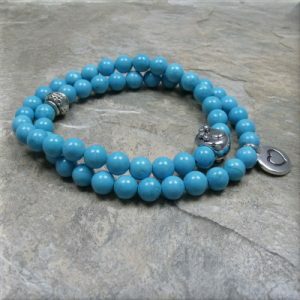 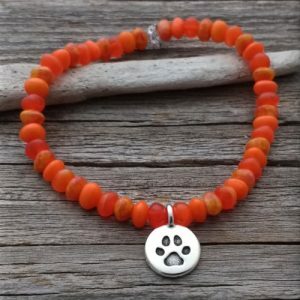 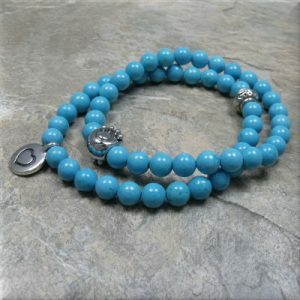 A super-cute paw print bead is centered between a terrific, turquoise colored bead. 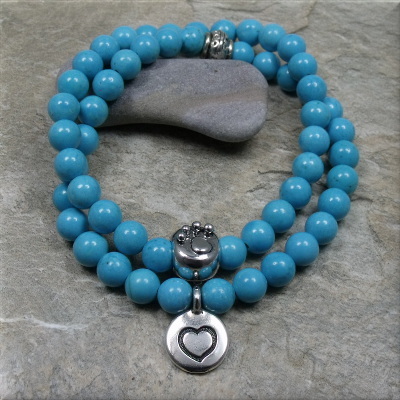 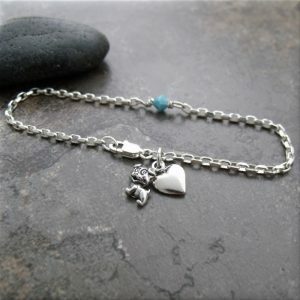 The next stretch bracelet has a sweet pewter heart charm that stands for love. 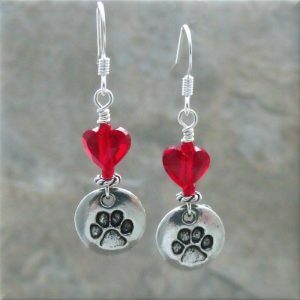 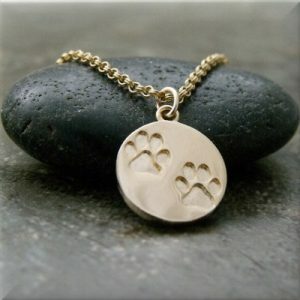 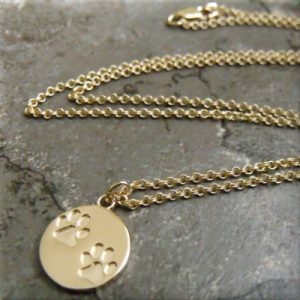 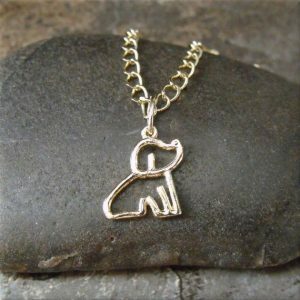 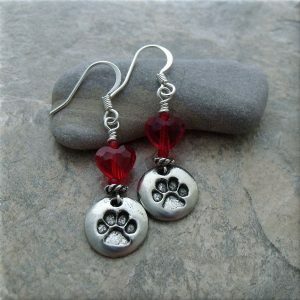 ~Love Paws! Wear these bracelets together for a stacked look or on their own. 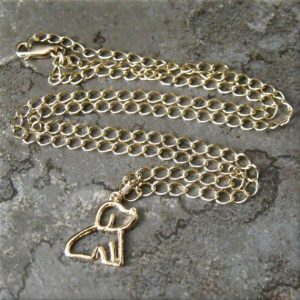 It’ll be adorable either way.